Windows 10 dropped last week, and the reviews so far have been very positive. More than 14 million people downloaded the operating system in the first 24 hours. 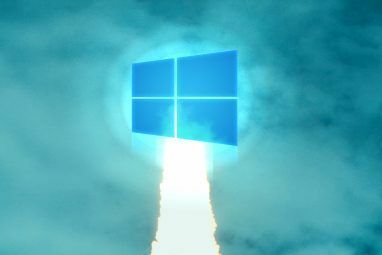 The OS is being hailed as the “Windows 7” to Window’s 8’s “Vista” and has a bunch of impressive new features, giving you every reason to upgrade 10 Compelling Reasons to Upgrade to Windows 10 10 Compelling Reasons to Upgrade to Windows 10 Windows 10 is coming on July 29. Is it worth upgrading for free? If you are looking forward to Cortana, state of the art gaming, or better support for hybrid devices - yes, definitely! And... Read More . Even more importantly, Windows 10 will be the last time you have to formally upgrade Windows. All future releases will happen as updates to Windows 10 Windows 10 Is the Last Version of Windows. Ever. Windows 10 Is the Last Version of Windows. Ever. Microsoft is sick of you not upgrading, and has a solution: Windows 10 will be the final "version" of Windows. Ever. This could mean that you will never again have to buy Windows. Read More . All of which is great news for Windows users. However, with so many new (and potentially new) users, the popularity has attracted some nasty characters. 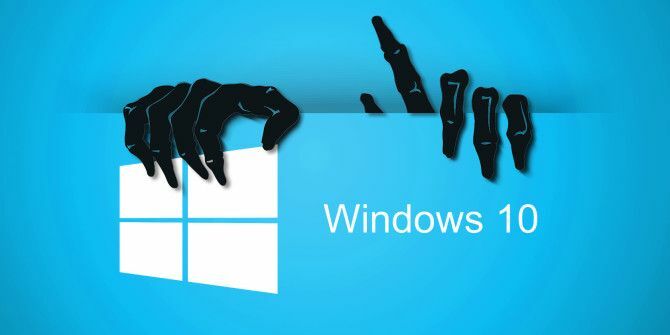 Unfortunately, a number of scammers are taking advantage of the enthusiasm and confusion for Windows 10, with several new scams targeting Windows 10 customers. Luckily, if you keep your wits about you and know what to look for, it’s easy to stay safe. Here’s what you need to know. With the release of Windows 10, these scammers have put a new twist on it. If you receive a call claiming to be from Microsoft, ignore it. Microsoft support and other legitimate tech support organizations will never cold-contact you by phone. Never give a stranger remote access to your machine. Microsoft has actually sent out official emails alerting people that they successfully reserved copies of Windows 10, as part of their staggered release scheme. Unfortunately, this has allowed scammers to create their own emails that resemble real Windows 10 alert emails, but actually direct users to malware. 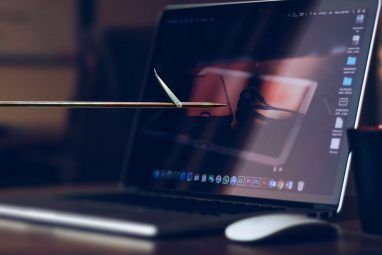 This kind of malware has become increasingly popular, and can be very destructive to small businesses and the elderly, who may have important or sentimental data, but not the technical savvy to back it up off-site. It’s nasty, and the ransom can be expensive. Other variations on the scam might install adware, or malware that steals financial information for identity theft. Luckily, like the phone scam, scams of this type are pretty easy to avoid. Remember that Microsoft will never send you a download link or attachment. Ignore any emails like this. Always use the official website to initiate any downloads or upgrades. Be skeptical of emails that have unprofessional formatting, errors, or typos. 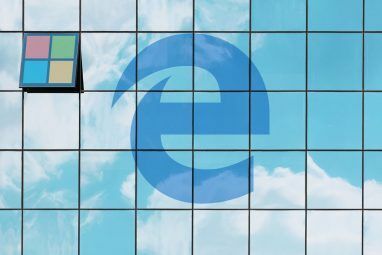 Even if emails seem to come from a “Microsoft Support” email address, use caution – this information can be easily faked DeadFake: Prank Your Friends with Fake Email Messages DeadFake: Prank Your Friends with Fake Email Messages Read More . There are a few easy ways to upgrade to Windows 10 legitimately. If you have Windows 8.1, you can reserve a copy using the “Get Windows 10” App, which appears as a small white windows icon on the right hand side of your task bar. Clicking that allows you to reserve a copy. Microsoft will notify you by email (without a download link) when your copy is available, and you’ll be able to upgrade from within Windows itself, via the same app (which will reappear). Don’t see the icon? Check out our guide to using the “Get Windows 10” app Can't See the Windows 10 Upgrade Notification? Here's How to Enable It. Can't See the Windows 10 Upgrade Notification? Here's How to Enable It. Are you also not seeing the Get Windows app on your Windows 7 or 8.1 devices? Let us show you how to enable the upgrade notification or cancel the upgrade in case you changed your... Read More . If you don’t have a valid copy of Windows 8.1, you may need to do a fresh install from an ISO, and move your files over manually. To get to the official ISO, Google “Download Windows 10 ISO – Microsoft.” The official download page should be in the first few results – useful information to share with friends and family interested in upgrading to Windows 10. Either way, look for the green lock in your browser bar to verify that you’re on the official site. From there, the site will direct you to burn a disc or bootable USB drive. You’ll be able to use your existing Windows product key to complete the installation. In general, scams aren’t that hard to spot. If you stick to safe general principles, like being wary of cold contacts and always downloading software from official sources, you’ll be safe from most scams and other “social engineering.” Be careful, and make sure your friends and family are on the lookout for their own electronic safety. Have you received on of these scam messaged? Just excited for Windows 10? Let us know in the comments! Explore more about: Online Security, Scams, Windows 10. Worse Than Phishing: What Is a Whaling Cyberattack?How Well Does Windows 10 Work on a Tiny Tablet? One thing I know about this world - NOTHING is free! As far as Microsoft is concerned, with over 25 years experience with them - absolutely NOTHING is FREE! Think about it folks, when is the last time you got something for "free" and didn't actually pay for it one way or another? It probably isn't money they are after, but there are plenty of ways to "pay" for something isn't there? Most of us willingly gave up our privacy with Facebook (in a controlled kind of way sometimes), but this was voluntary to some degree... So, payment can also be rendered in an involuntary way can't it; for those of you who have already upgraded - you just lost even more of your precious privacy. So who would want my info, you might say; you've got nothing to hide, right. Do some research, you would be surprised and more than likely even shocked! As for those of you still on the wire, keep thinking about - really THINK about it before you accept it. ...and good luck to you all. "If you have Windows 8.1, you can reserve a copy using the “Get Windows 10? App, which appears as a small white windows icon on the right hand side of your task bar." This also appears on Windows 7; I've had to uninstall and block the Windows Update on a work machine that management didn't approve for an upgrade. I'm sure it's just a matter of time before some criminal steals the icon and uses it in some sort of malware. I wish I had the ability to keep my cool and respond the same way. Instead I purchased a Screecher Emergency Alarm and when I'm positive it is a scammer or unwanted telemarketer I give them a ZAP. My experience upgrading to Windows 10 from Windows 7 Ultimate was not a pleasant experience. The actual download and installation went well but the problems were bad enough to make me restore my OS back to Windows 7. Many others had the same problems. I lost my audio and efforts to install new drivers or find the solution from Microsoft wasn't successful. I found the solution from an outside source who had me change the Bitrate and Hz setting. Then my screen kept changing back and forth from the icon desktop to a plain screen and cycled every two seconds not allowing any way to open anything. I'm waiting until I have to change hoping they get the bugs out. That video is so funny. I got calls like that and had fun with them too. Of course it never got as far as this guys, they would just hang up on me. Maybe because I am a woman, LOL thanks for the laugh and good information. You also have another option to upgrade. In the download that you linked to, you can download the Windows 10 Media Creation Tool. This lets you create an ISO, if you wish, but it also allows you to do an in-place upgrade, without the need to burn media.